Home » GBP » Pound US Dollar (GBP/USD) Exchange Rate Forecast: How Will the Fed’s Rate Pause Impact the US Dollar? Pound US Dollar (GBP/USD) Exchange Rate Forecast: How Will the Fed’s Rate Pause Impact the US Dollar? 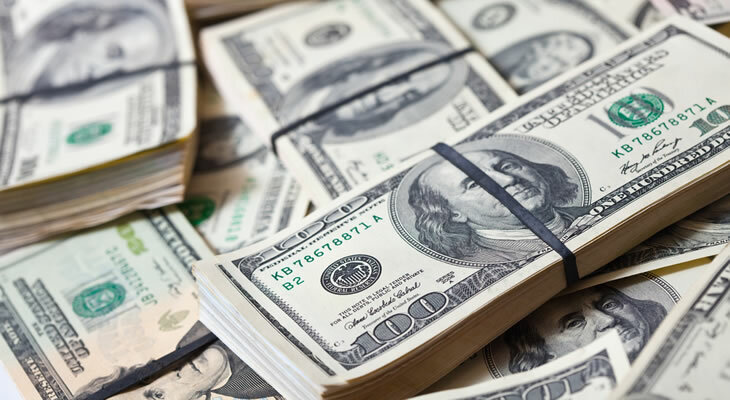 The Pound US Dollar (GBP/USD) exchange rate has been met by considerable volatility over the last 24 hours, with the ongoing drama surrounding Brexit and a notably dovish turn by the Federal Reserve rocking currency markets. At the time of writing the GBP/USD exchange rate is down 0.4% so far this morning, as growing Brexit uncertainty continues to hammer Sterling. Dovish Fed to Undermine the US Dollar (USD) this Year? The US Dollar (USD) was met by heavy losses on Wednesday, after the Fed turned dovish following its March policy meeting. This saw the US central bank slash its growth forecasts for the coming year, whilst also signalling that interest rates are now unlikely to rise this year, a major U-turn from 2018 where the Fed raised interest rates four times. Given that the Fed’s aggressive rate policy helped to underpin the US Dollar’s considerable strength last year, we could see USD struggle to put a similar performance this week. Meanwhile the Pound (GBP) remains on the back foot this morning after being hammered on Wednesday after markets were left disappointed by Theresa May’s decision to only request a short Brexit delay from the EU. However Sterling has stepped back from its worst levels against the US Dollar following the release of some stronger-than-expected UK retail sales figures. According to data published by the Office for National Statistics (ONS), UK retail sales grew an additional 0.4% in February, down from 0.9% at the start of 2019 but beating forecasts of a 0.4% contraction. GBP/USD Exchange Rate Forecast: Brexit Drama to Overshadow BoE? Also coming up today will be the Bank of England’s (BoE) latest rate decision, but will it have much of an impact on the Pound US Dollar (GBP/USD) exchange, given the current focus on Brexit. With the BoE unlikely to drop any policy bombshells today it appears highly unlikely, with the bank likely to reiterate that the ‘fog of Brexit’ leaves its hands tied. Instead the focus will undoubtedly be on the EU summit of leaders taking place later this evening, in which Theresa May attempt to persuade her peers to grant the UK an extension to Brexit, something that could sink Sterling if EU leaders appear reluctant to offer a delay.